Redfield Area Chamber of Commerce Annual Meeting is April 4th at Roosters. Social Hour at 5:30 pm with dinner & meeting to follow. Please RSVP by calling (472-0965) or emailing (redfieldchamber@redfield-sd.com) the Chamber Office. Still providing library service to the citizens of Redfield, the Redfield Carnegie Library has the distinction of being the oldest Carnegie in continuous use as a library in South Dakota. The Redfield Carnegie Library began as a reading club with members buying books to circulate. A $10,000 endowment from the Andrew Carnegie Foundation was awarded in March 1902. 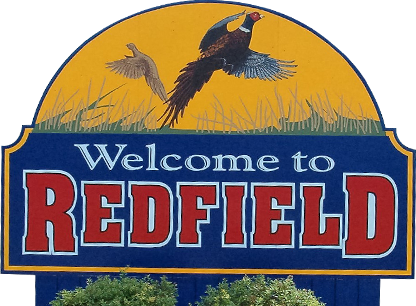 © 2019 Redfield City Tourism. All rights reserved.